There’s much to admire in music that moves between beguiling simplicity, aching nostalgia, pointed playfulness and discrete virtuosity with such easy dexterity. 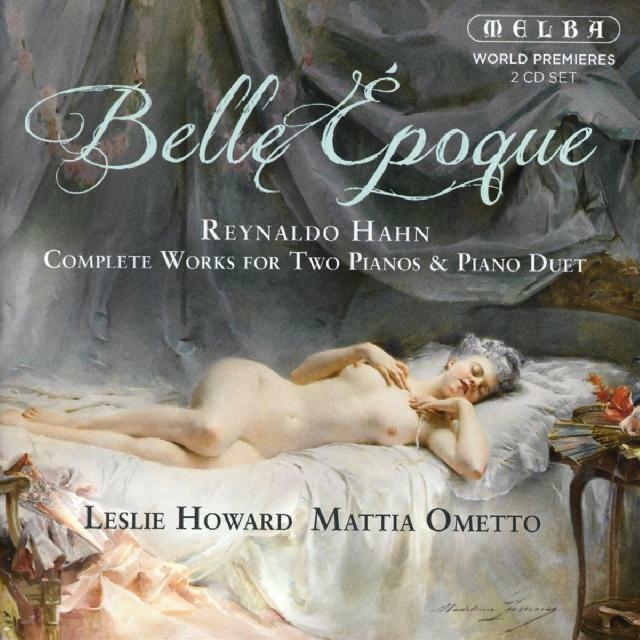 With form in resurrecting neglected French repertoire, the enterprising Australian label Melba has struck gold again in this beautifully played survey of Reynaldo Hahn’s music for two pianos and piano duets. The first complete survey on disc, it eloquently reveals another aspect of the Venezuelan-born, French-domiciled composer best known for his songs. It’s clearly a labour of love for Leslie Howard – whose booklet notes ably complement his considered, often poetic, always nimble playing – and Mattia Ometto, who acquits himself with equal elegance. There’s much to admire in music that moves between beguiling simplicity, aching nostalgia, pointed playfulness and discrete virtuosity with such easy dexterity. By no means material that calls attention to itself on first hearing, half heard (as one suspects Hahn, fully aware of the distractions of the salon, might have intended) it exerts its own allure, satisfyingly inked in on repeated concentrated listening. With superb recorded sound, heard on headphones it’s an altogether involving experience.